Heath coverage after divorce is critical. And in the case of many women it becomes an affordability issue. Women are less likely than men to be insured through their own job (35% vs. 44% respectively) and more likely to be covered as a dependent (24% vs. 15%), according to a study by the Kaiser Family Foundation. This means a woman is at greater risk of losing her insurance if she becomes widowed or divorced, her spouse loses a job, or her spouse’s employer drops family coverage or increases premium and out-of-pocket costs to unaffordable levels. In the case of divorce, insurers and employers usually drop the spouse once the divorce is final, although some now terminate the coverage as of the date of separation. 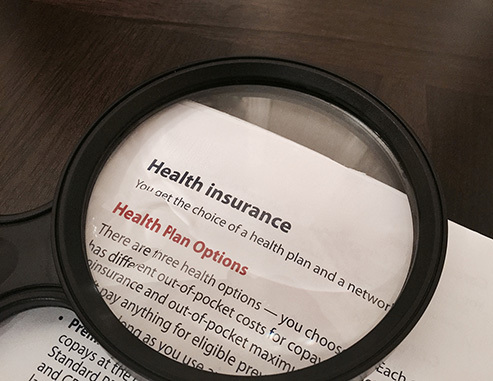 To maintain health insurance, don’t wait until the divorce is final to research your options. Employer Plan – If you are currently employed, talk to your human resources department about their plan and compare the costs to COBRA. You can research coverage on the federal marketplace, state exchanges or the private marketplace. Depending on your needs and budget, you can evaluate various options that include percentage of coverage, monthly premiums, deductible amounts and networks Based on your financial situation, you may also be eligible for a tax subsidy. You have 60 days to obtain coverage in a special enrollment period. Otherwise you will have to wait until the regular open enrollment. You can use the form on the Health Insurance Marketplace to see if you qualify and review options. This type of insurance may be an option when you need temporary coverage, cannot afford a Healthcare Marketplace plan or you are in a waiting period for employer insurance. It bridges the gap in coverage. You need to be aware of how these temporary plans work. You may be denied for certain pre-existing conditions. It may not cover prescriptions or maternity care and doesn’t meet the ACA standards. Coverage can start in as little 24 hours, you don’t need to choose a network doctor, and it is affordable. However, there is generally a dollar limit on the coverage and length of coverage is generally 1-12 months. You may re-apply 2-3 times depending on the provider. Medical cost sharing is not insurance, but is supposed to function in the same way. Most of these cost sharing organizations are Christian-based, non-profit organizations. And they are a legally acceptable alternative to ACA standards. Each member pays a monthly share. The monthly share is much lower than ACA plans. A screening process to meet a heathy discount requirement includes weight, blood pressure, healthy diet and overall wellness. Since it is a faith-based organization, other restrictions, such as no tobacco, no misuse of drug or alcohol are included. For a good overview on the pros and cons of the healthcare sharing options, read this article in Consumer Reports. Berkshire Hathaways Warren Buffet, Amazon’s Jeff Bezos and JPMorgan Chase’s Jamie Dimon have joined forces to change how healthcare is provided to their 1 million US employees. If their vision becomes a reality, it could change the way health insurance operates in this country. Check out this article in Kiplinger for more information. If this venture does work out, people going through a life altering event will have one less concern to handle. For additional articles on divorce and finances, please click here.